has died at the age of 49. 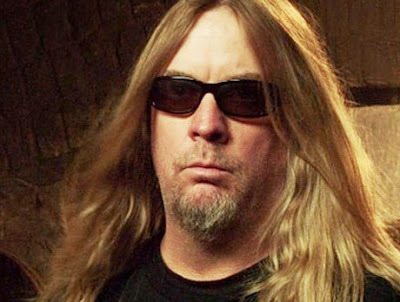 It is with great sadness that we bring you the news that Slayer guitarist Jeff Hanneman has passed away at the age of 49. The guitarist and founding member of Thrash Metal band, Slayer, passed away at 11AM PST, today (May 2) hear his home in Southern California. 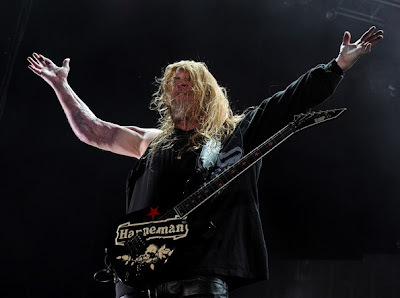 "Slayer is devastated to inform that their bandmate and brother, Jeff Hanneman, passed away at about 11AM this morning near his Southern California home. Hanneman was in an area hospital when he suffered liver failure. He is survived by his wife Kathy, his sister Kathy and his brothers Michael and Larry, and will be sorely missed."